Become Sarah, a single mother and aspiring architect who is commissioned by the enigmatic Boss to build a sprawling tower that stretches beyond terrestrial boundaries. But as Sarah builds taller and taller, she draws the ire of Craig, the unassuming Canadian who sets out stop her! 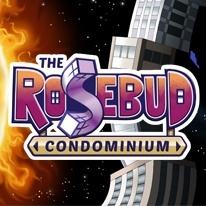 The Rosebud Condominium is a new flavor of hidden object games, featuring procedurally-generated levels so that every playthrough is a unique experience, and a quick arcade pace that keeps the player engaged for hours. - Play as Sarah, an architect aspiring to stratospheric heights!